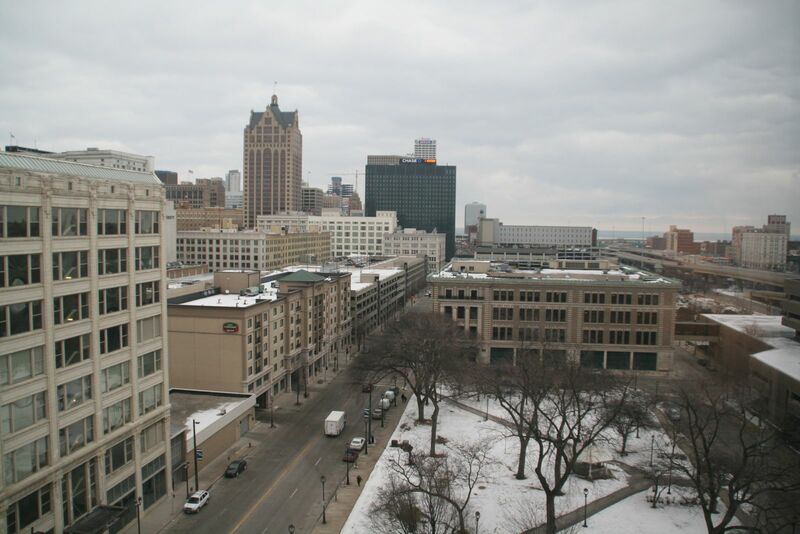 Many of the units have a view of Westown and Zeidler Square Park. Photo taken January 22nd, 2016 by Jeramey Jannene. All Rights Reserved.